The Mantis Vicious Circle is an innovative and stylish folding neck knife. 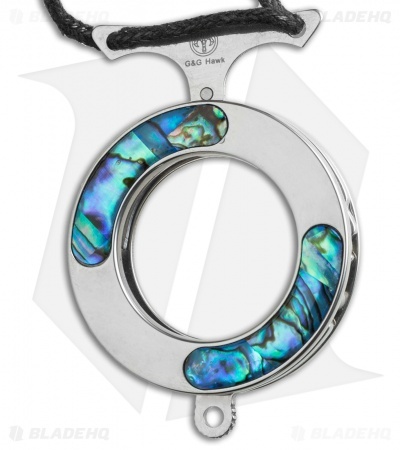 This model features a stainless steel frame with beautiful onlays made from abalone. The rounded frame acts as a sheath system for the hawkbill style blade, which easily snaps on and off the hanging ring. 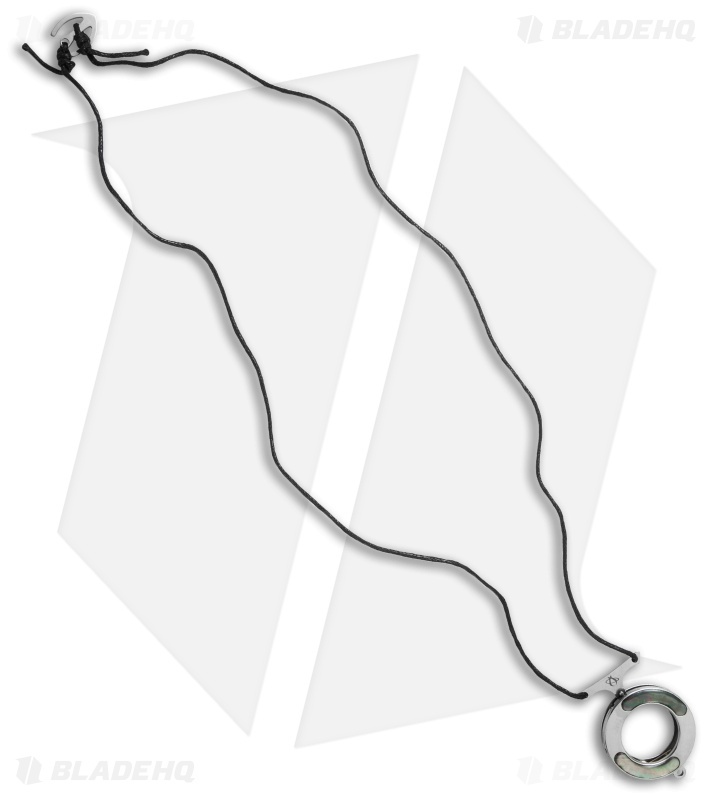 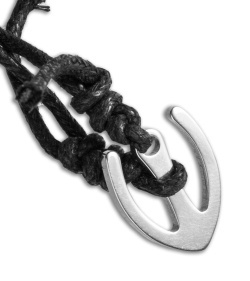 The Vicious Circle is designed to be worn around the neck and released by pulling on the ring (the blade is locked open via an internal liner lock). With practice the ring can be quickly reattached to the neck chain when finished with the knife. 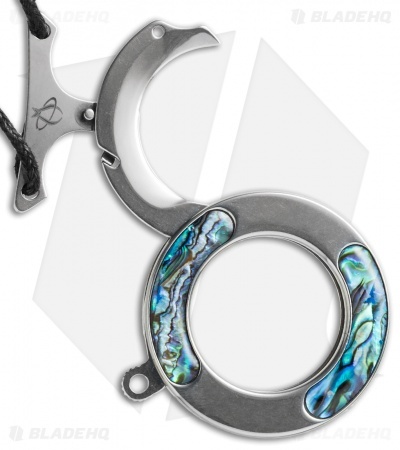 The Vicious Circle offers an easy to carry design and a collectible appearance.